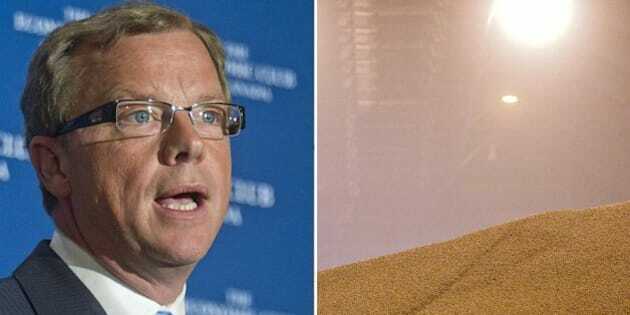 REGINA - Premier Brad Wall says BHP Billiton's decision to invest US$2.6 billion in a potash project is a strong vote of confidence in Saskatchewan's industry. BHP Billiton (NYSE:BHP) says it will develop the Jansen mine, although at a slower pace than previously expected and with the possible addition of a partner. Wall says the Anglo-Australian mining company likes the geology and the economic environment in Saskatchewan. Some financial analysts had said potash projects could be delayed after a Russian company threatened to pull out of a marketing consortium and prices plummeted. Wall says potash can be a volatile industry and there will be some people who are going to over-react. The premier says the Jansen investment is good for jobs and the economy.